"Until now, however, curcumin is what we call in pharmaceutical science as a 'false lead' - it is therapeutic, but the full effect can't be utilized because it's poorly soluble in water," noted Dipanjan Pan, an associate professor of bioengineering at the University of Illinois at Urbana-Champaign who leads the Laboratory of Materials in Medicine. "When you try to deliver a drug, it requires solubility in water, otherwise it won't flow through the bloodstream," added Santosh Misra, a post-doctoral researcher working with Pan. "It's a combination of clever chemistry and nanoprecipitation utilizing host guest chemistry," Pan explained. "We know that a drug is going to bind to a certain 'host molecule' if the proper pocket is present. We have shown here that a pumpkin-shaped macrocyclic molecule Cucurbituril by virtue of its glycoluril monomeric linkages, that attracts curcumin, which gets bound and comes off once it gets delivered to the cell. That is the key to demonstrating the effectiveness of the therapy and in solving a long-standing problem with curcumin's insolubility." "In order to make it available to the system, it was necessary to put curcumin in a larger complex where it can be soluble in water," Misra said. 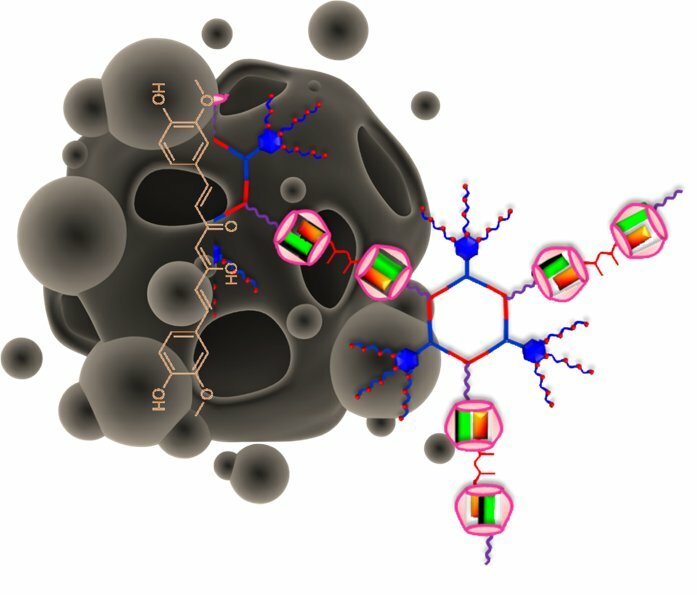 "This complex has a very unique ability to take on different forms of material—from a spherical nanoparticle to longer elongated threads of nanometer size. In both cases, curcumin is present in the system, which what is important for to its medicinal value." "We knew platinum is a commonly used cancer therapeutic agent in the clinic," Pan said in explaining the road to discovery. "We wanted to exploit that property as well in addition to curcumin. Our results demonstrate that curcumin works completely in sync with platinum and exert synergistic effect to show remarkable anticancer properties." "In cancer therapy, one of the measures that constrains a number of the drugs is their poor solubility," Pan said. "Viability only becomes prominent when the drug becomes soluble in water. So, no matter how the drug is given, intravenously or orally, it needs to eventually be absorbed by the organs in the body." Pan's team also hopes to prove that this method will be effective in killing cancer stem cells, in effect cancer's root system. "More and more it is becoming obvious that cancer stem cells are responsible for all these cancers to regrow," Pan said. "Even if you are killing all the cells in the tumor, there would be a tiny population of cells with 'stemness' properties that could enable cancer cells to grow back and spread to other parts of the body. That is why even if a patient has been declared cancer free, doctors continue to monitor to see if cells regrow. However, if we can deliver therapy to cancer stem cells, we can prevent that from happening. 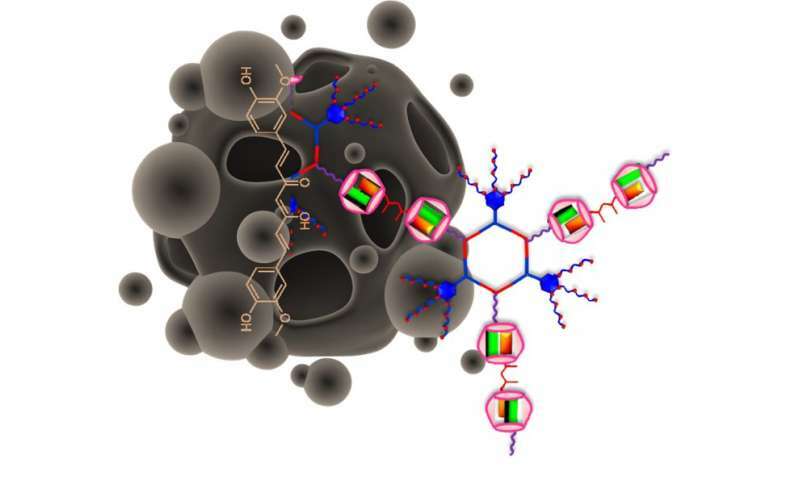 As an ongoing research in our laboratory to find agents for stopping the growth of cancer stem cells, we will be looking into using these highly sophisticated self-assembled metallacycles for targeted therapies"